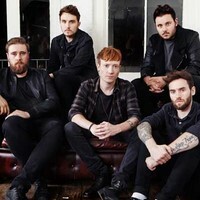 Mallory Knox are a English alt rock band from Cambridge, formerly fronted by Mike Chapman, but now consists of Joe Savins, Sam Douglas, Dave Rawling, and James Gillett. Formed in 2009, the band released their debut album, ‘Signals’, in 2013, followed by ‘Asymmetry’ in 2014. Their latest album, ‘Wired’, dropped on March 10, 2017, which they supported with a UK tour. The band have headlined their own shows and tours across the UK, they have played festivals such as Download, Reading and Leeds and Slam Dunk, and have supported the likes of Don Broco, A Day to Remember and Biffy Clyro. Mallory Knox have announced the exit of their vocalist, Mikey Chapman, but will continue the band with bassist Sam Douglas taking over lead vocals. After a spring tour across the UK, Mallory Knox have announced new shows in Swansea and Bournemouth for September, followed by three dates in October, returning to venues where they cut their teeth. Catch them live as their new formation by checking out the tour dates and concert ticket information below on Stereoboard. Mallory Knox have announced three live dates for October, returning to venues where they cut their teeth. Mallory Knox have announced a brace of UK shows. The final acts have been added to the 2000trees bill. Mallory Knox have released a new single. Mallory Knox and Crazy Town are among the new acts confirmed for Camden Rocks. Vocalist Mikey Chapman has parted ways with Mallory Knox. Mallory Knox have released a new single and video, Sugar. Mallory Knox have released a video for their new single, California. Lower Than Atlantis, Frank Carter & the Rattlesnakes and Mallory Knox have been announced as headliners for this year's 2000trees. Mallory Knox have released a new track, Saviour.